New Women’s Site to Open in Milford!! We are so excited to announce that we will be opening a new site for ladies. 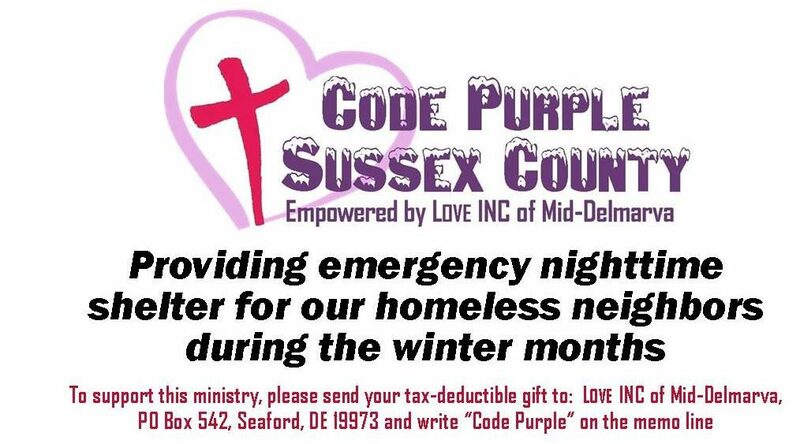 Milford Church of the Nazarene has graciously invited us to host Code Purple in their sanctuary this winter! We will be updating all of our information to include this new resource available to help those without a safe place to sleep. Please consider how you can help this sanctuary blossom in its love for our guests. We will need volunteers willing to do many various jobs during the season. We can not do it without your support!